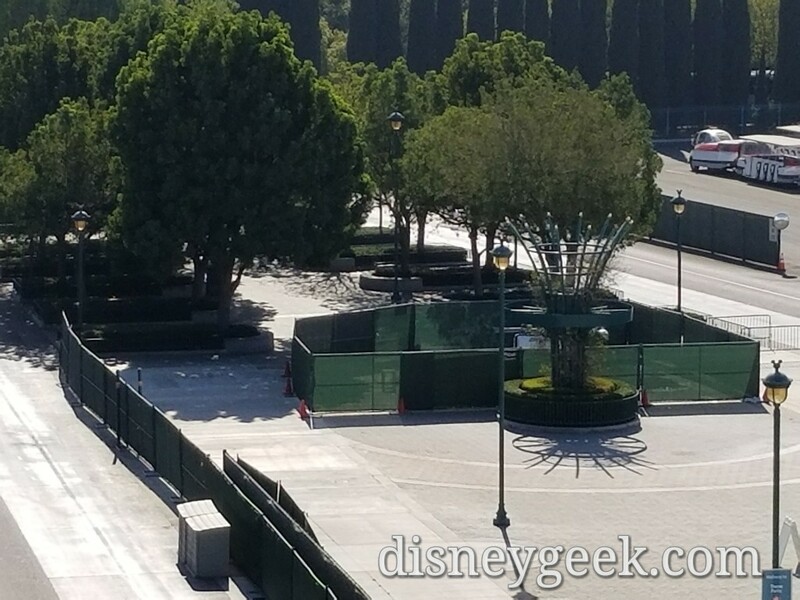 The fences have shifted at the tram stop. 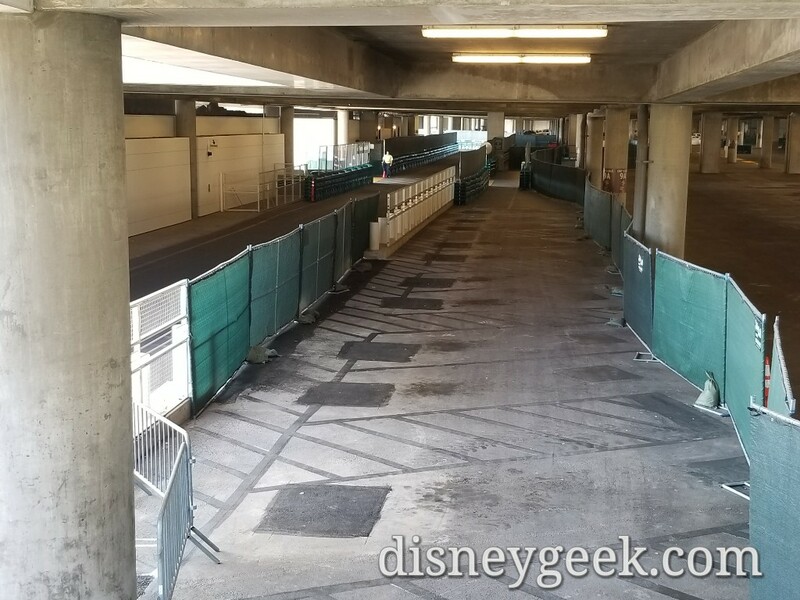 They have removed some of the planters and the ramp. 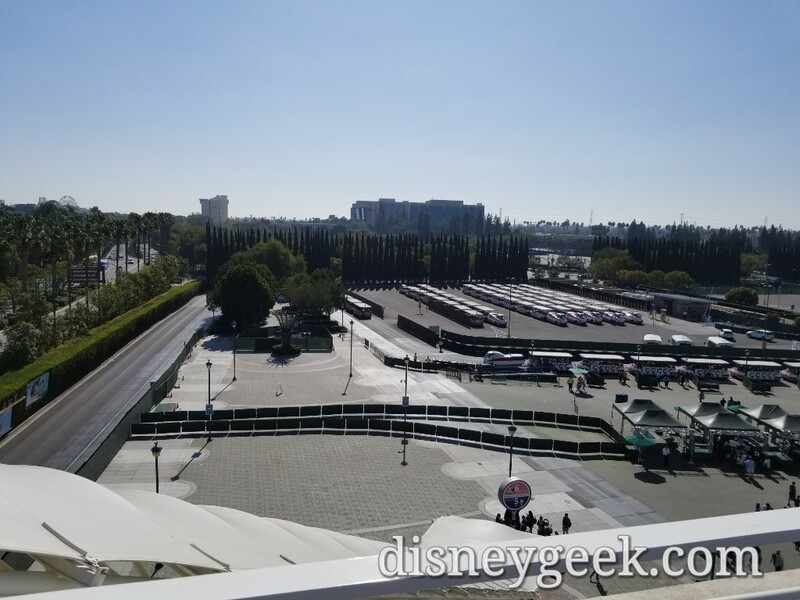 Trams were primarily using the two stops closest to security on Friday. 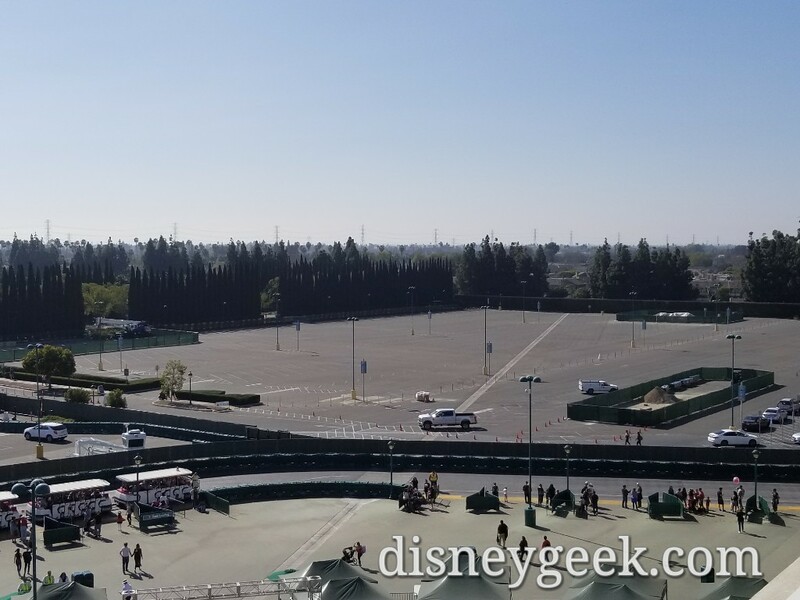 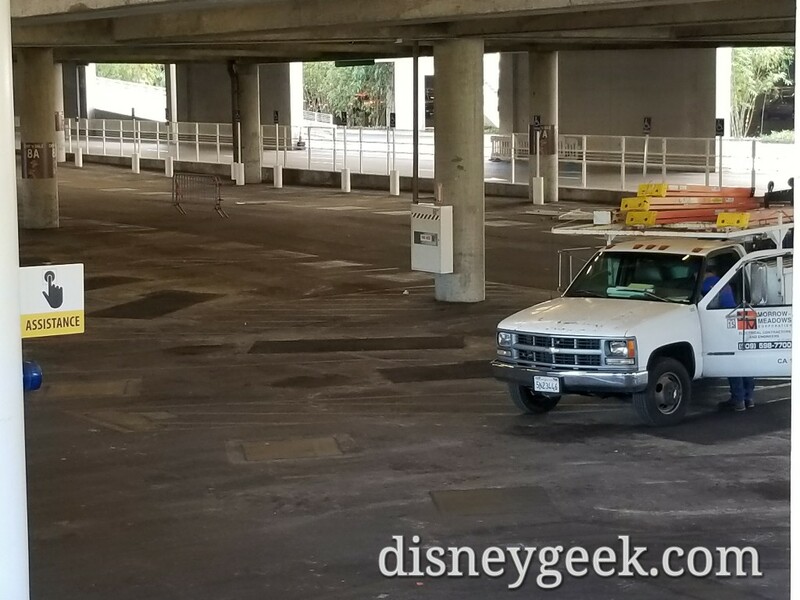 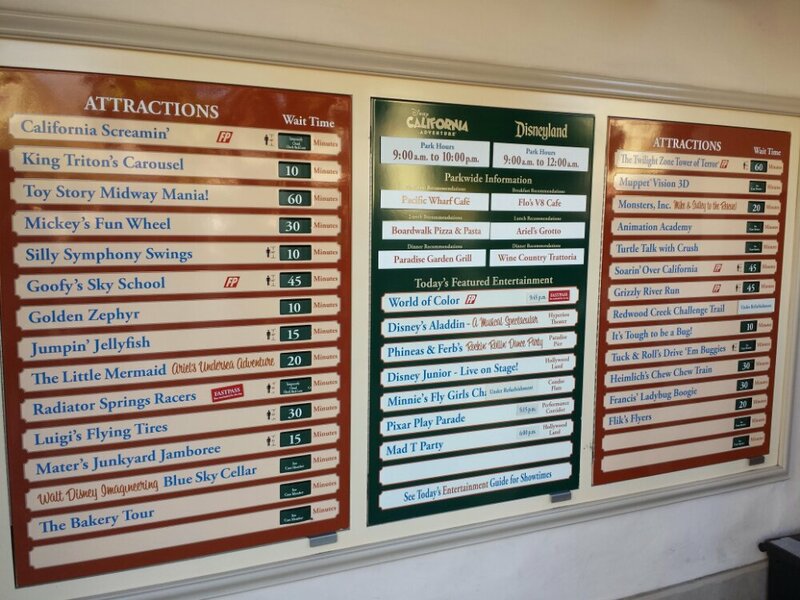 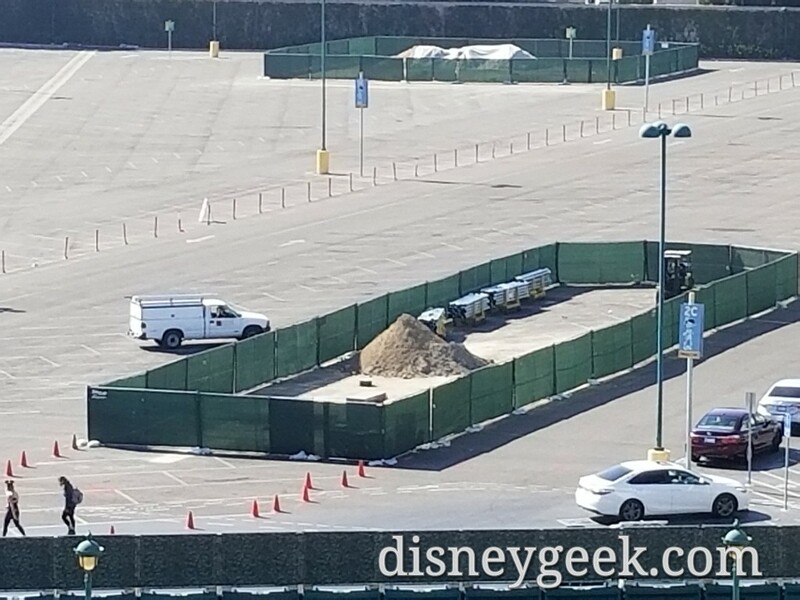 The Pinocchio Lot was not in use Friday afternoon. 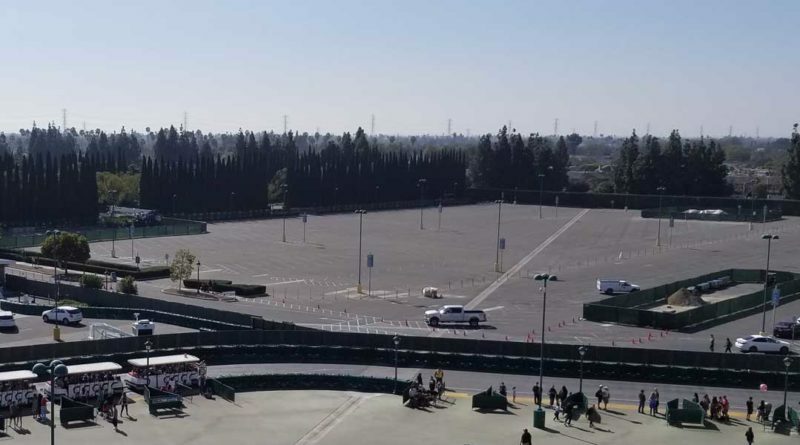 The fenced off areas were quiet, no work going on at this time. 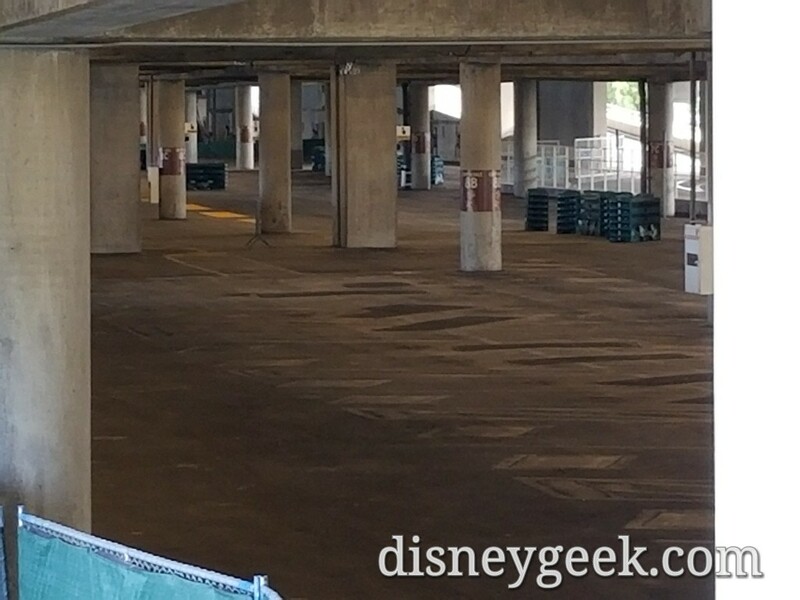 A look at the first floor that will soon be for the trams. 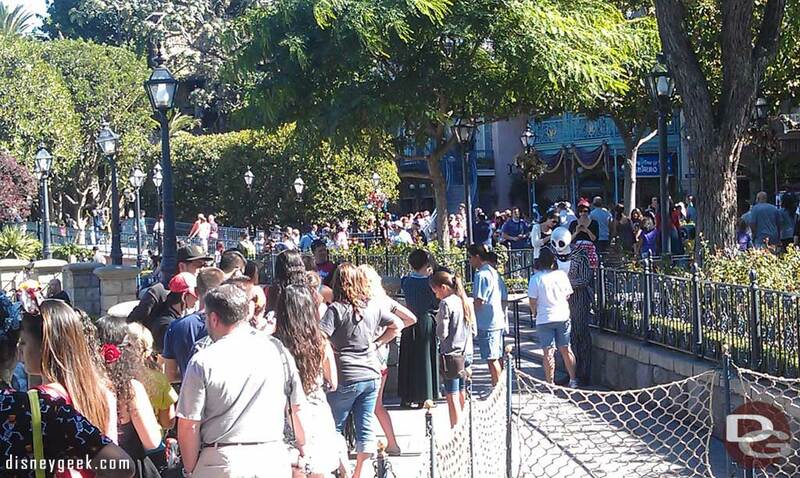 The Jake meet and greet has moved down toward the River since Fastpass is back.